Washington (AFP) - An American doctor who has contracted the dangerous Ebola virus in Liberia is "weak and quite ill," a colleague of his told AFP on Tuesday. Kent Brantly, 33, became infected with Ebola while working with patients in the Liberian capital, Monrovia, as he helped treat victims of the worst Ebola outbreak in history. Brantly and another American healthcare worker are among the more than 1,200 people who have become infected with Ebola in West Africa since March. A total of 672 people have died. "He is not doing well. He is still in the early stages of the Ebola infection but having some daily struggles," David Mcray, a family medicine doctor in Fort Worth, Texas, told AFP by phone. Mcray said he has been speaking with Brantly by phone daily, most recently on Monday. He said he had not yet reached him Tuesday, but he had spoken with Brantly's wife. Mcray oversees the residency program where Brantly did his obstetric training, and they have remained close friends over the years, he said. Doctors in Monrovia have described Brantly's condition as stable, though he remains in danger since Ebola is often fatal and can kill a person within days of infection. "He is seriously ill with a grave prognosis," said Mcray. "He has an infection that carries a very high mortality rate so the prognosis is not good but we are all remaining hopeful that he will be one of those who survives the illness." Authorities with the US Centers for Disease Control and Prevention said this outbreak has spread to Guinea, Sierra Leone and Liberia, and carries a fatality rate of around 60 percent. 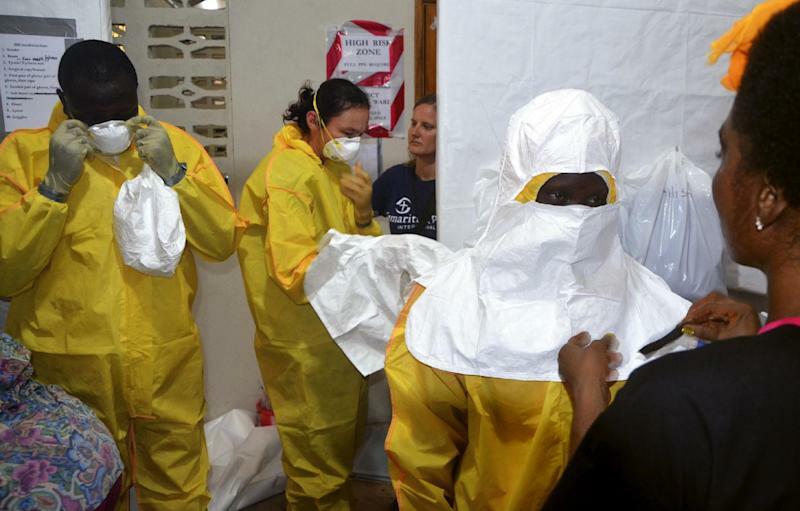 Ebola's symptoms can include fever, joint pain, diarrhea, vomiting, rash and red eyes. In about half of cases, patients experience internal and external bleeding, experts say. It is transmitted by direct contact with the blood or bodily fluids of an infected person, or by exposure to contaminated needles. While it remains unclear how Brantly contracted Ebola, his diagnosis was announced on Saturday by Samaritan's Purse, a Christian charity for which he has served as medical director of the Ebola case management center in Liberia. 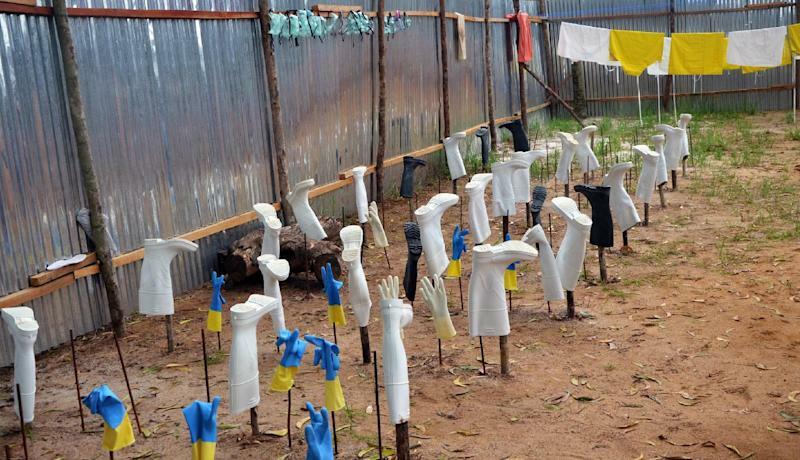 He began work with the group's Liberia team in October and had focused on Ebola patients since June. His wife and children were with him in Monrovia but returned to the United States before he fell ill. They are being monitored for signs of fever for 21 days, which is the incubation period for Ebola. "He has no regrets and no sense of guilt," said Mcray. "He wants people to know that he was there because he wanted to be there." Samaritan's Purse has been trying to arrange for Brantly to be moved to another hospital, perhaps in Europe. "As you can imagine it is quite complicated to move someone who is infected with Ebola across international borders," said Mcray. "It seems at this time that it is unlikely that it will happen, but they are continuing to work daily to see if it would be possible." He added that while media attention has focused on the case of the American doctor, Brantly is aware that he is just one of many people who have been affected by a terrible disease. "He has co-workers and Liberian colleagues who have succumbed and he does not see himself as unique in any way," said Mcray.